There’s no better way I could think of to start a Monday morning. A relaxation experience; one that had been on my radar for a couple of years but was just one of those things that you never get around to. Me and my BRITA Fill&Go bottle got up and made our way down to London Bridge to Floatworks on Monday Morning for one hour of pure bliss. I turned up nice and early for my 10am appointment. I had a quick read of the website in the morning so I kinda knew what to expect. I slipped out of my trainers and into some slippers; then shown to my room and given a quick run down of how it all worked. I didn’t hesitate and jumped straight into the shower – at which point I realised there were no towels in the room. Hmmmm, I’d sort it out later I told myself. I grabbed some ear plugs and while fiddling with them to see which size would suit me best, I dropped one down the back of what looked like a generator. Decision made there for me! The first ten minutes of your experience is accompanied by relaxing music. I jumped in the egg…I mean tank and remembered what I was told. Button to the left – light. Button to the right – emergency call. Bottle of fresh water – to the right. Lid can be closed or left open. The scientific bit – floating on the surface of water, buoyed by salts, the logical left side of the brain slows and synchronises with its creative right side. You enter a dreamy state, similar to the roaming mental freedom you get just before you nod off. escaping gravity, temperature, touch, sight, and sound, your physical and mental energy is conserved and directed into revitalising you. The benefits: reset your hormonal and metabolic balance; ease pain; cure jet lag; improve physical performance and most of all, become fantastically relaxed. I closed the lid and tried sooooo hard to relax and float. However, I’m not a huge fan of swimming, nor water. Eventually (before the music stopped) I managed to let go and allow myself to float. There was noticeable muscle tension in my core, neck and shoulders so I used my arms to form a support for my neck and bobs yer uncle! Then I had a random point where I felt a bit nauseous. Not sure if this was real or if it was because I read this could happen! 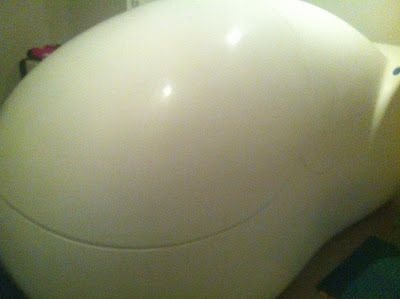 …A quick lift of the lid for some fresh air and then back in. All is well! When the music comes back on you know you have 5 minutes remaining (after 50 minutes of silence and darkness with the lid closed), plus about 20 minutes to shower and get dressed. The point where I was really glad I chucked a swimming costume in my bag so I could pop my head out to reception and grab a towel! Somehow, post relaxation…I was unusually thirsty! …Thinking about it, I should probably have drunk more water in the lead up to my session! 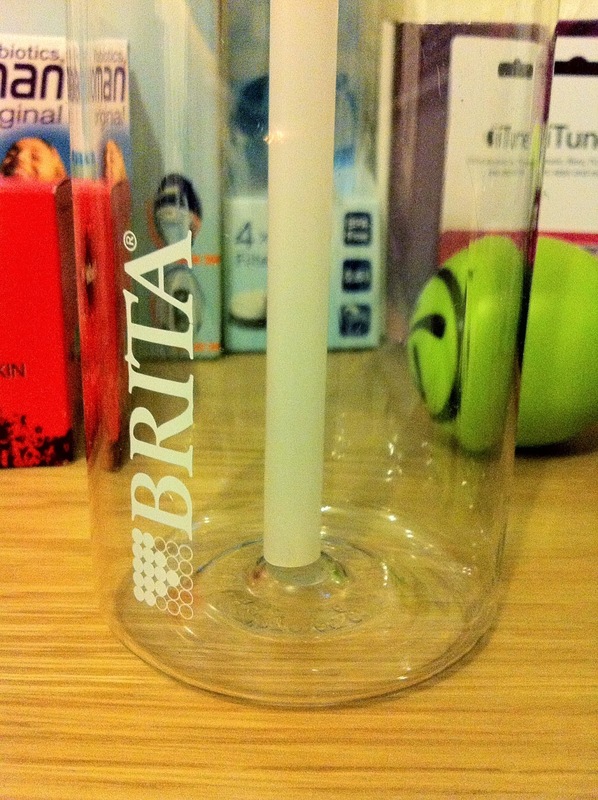 …Who knew it was important to be / stay hydrated for Spa / relaxation experiences?! 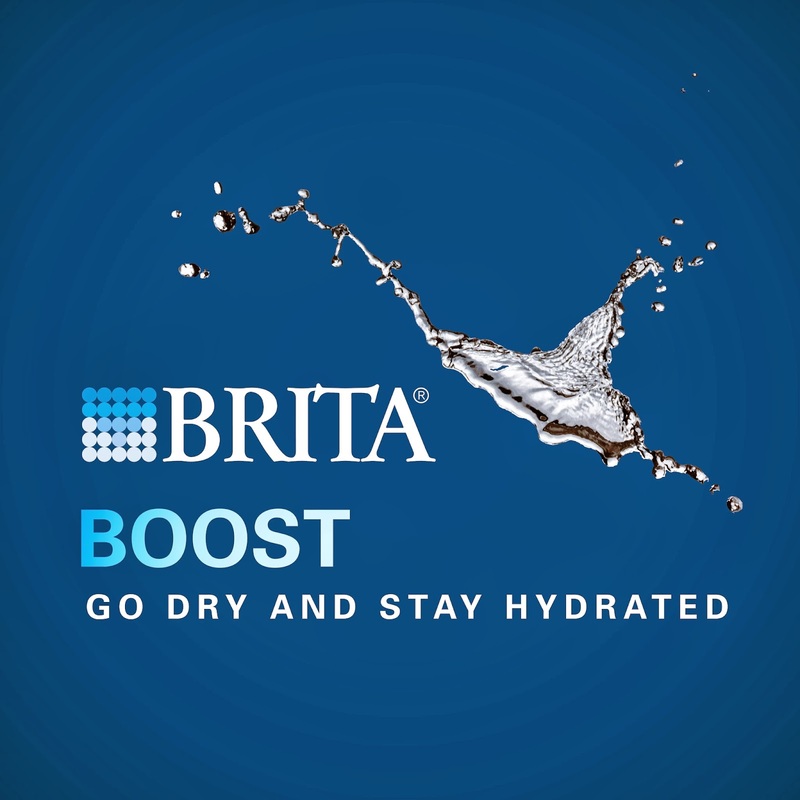 …Me & my BRITA Fill&Go bottle then made our way to meet a friend for lunch! 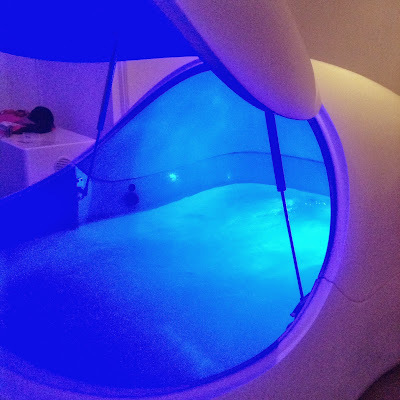 Have you ever had a flotation tank experience? Wanna know more?! …ask away in the comments!